Sprawling estate home in coveted Churchill Estates, a tranquil neighbourhood of high-end homes in a serene country setting just minutes from HWY 401. This home features 5 bedrooms and 5.1 bathrooms over 7,200 sqft of total finished living space. A grand brick and stone exterior opens through double doors to the foyer with 18’ ceiling and oversized designer chandelier, flanked by formal living and dining rooms. 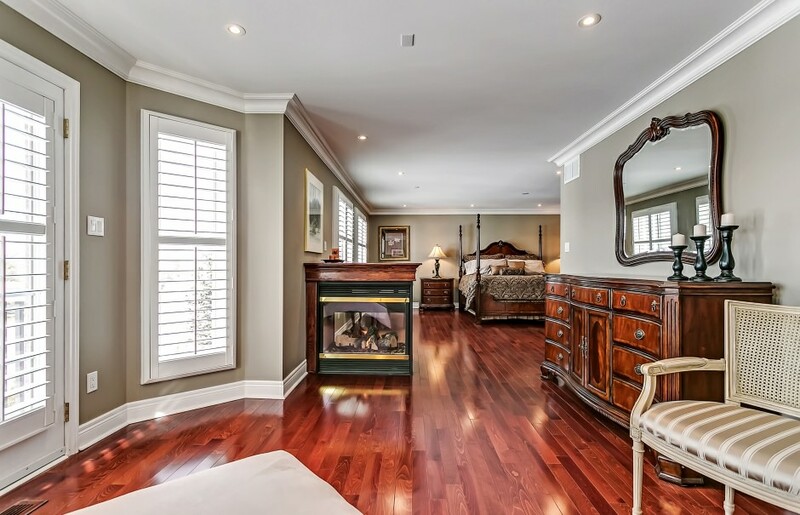 Hardwood flooring with deep baseboards, California shutters, crown moulding and mini halogen pot lighting are just some of the high-end features throughout the home. A traditional yet open-concept floor plan allows plenty of space for entertaining. The gourmet eat-in kitchen, with convenient servery access to the formal dining room, features full-height cabinetry with under-cabinet lighting, sealed premium natural stone countertops, built-in stainless steel appliances, and a peninsula with overhang for bar seating. A sunny breakfast area with double French door access to the rear yard opens to the family room with Barzotti built-in entertainment unit and three-sided gas fireplace. A den with panoramic windows is quietly tucked away. The formal Oak staircase leads to the oversized master bedroom, which opens through double doors. 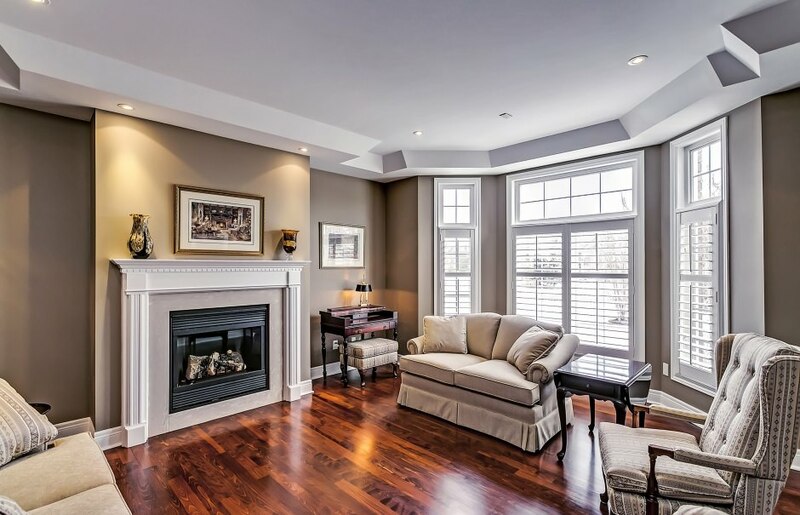 A three-sided gas fireplace delineates the main room from an additional sitting room with double French door access to a balcony overlooking the rear yard and grounds. 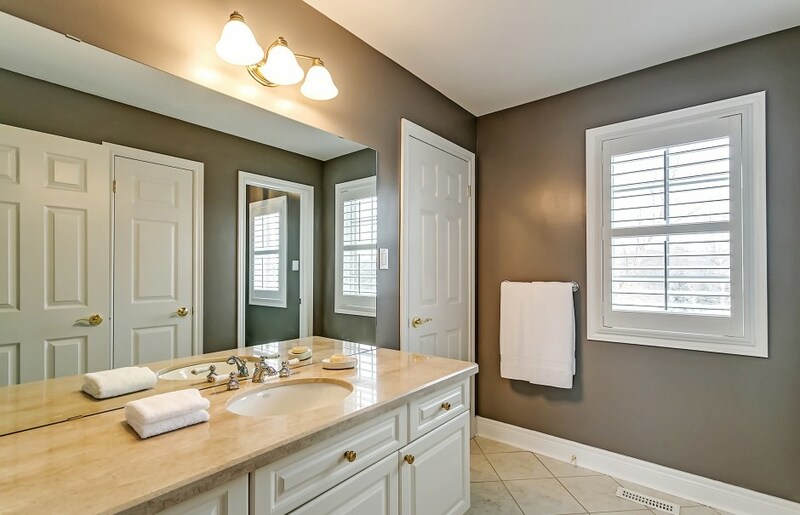 A walk-in closet connects the master bedroom to its six-piece ensuite with His & Hers vanity and separate Jacuzzi soaker tub. 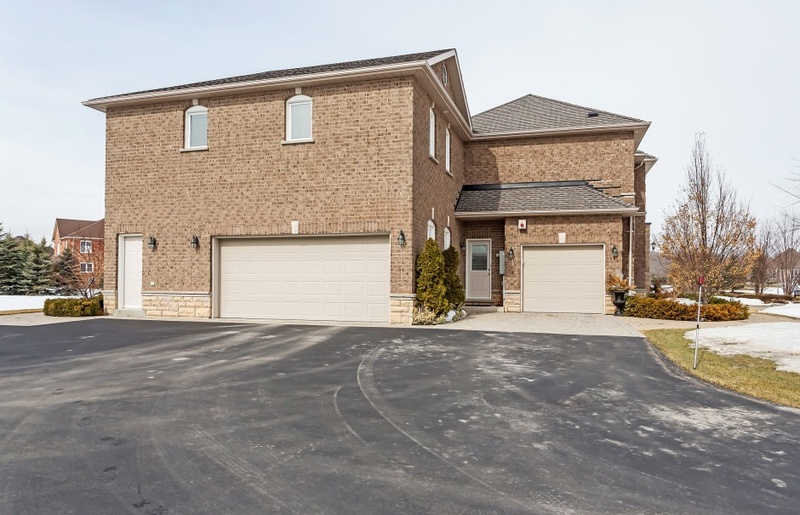 The fully finished lower level, with access from the main foyer as well as the mud/laundry room with secondary entrance, boasts a recreation room with custom wet-bar, media room, games room, exercise room, sauna and full bathroom. This multi-generational home also features a separate nanny/in-law suite above the attached two-car garage, complete with it’s own kitchen and three-piece bathroom. An attached single car garage provides additional storage. The approximately 1.45 acre lot is dressed with professional landscaping with landscape lighting and irrigation system. Extensive hardscaping and interlocking stone patios delineate multiple seating areas, with the main outdoor living area overlooking a decorative pond with waterfall feature. Upgraded well and septic systems make this a worry-free home for the former city dweller looking for their own plot of serenity within quick access to major commuter roads!